I was very young, when one of my favorite teachers started reading "The Lion, The Witch and the Wardrobe," which is the first book I read in the series. I was so disappointed when the teacher read right up to the part about getting through the wardrobe and then stopped. She never got around to finishing the story...but later I did. This is a story of four children, Peter, Susan, Edmund and Lucy Pevensie, who are sent into the country to live with Professor Kirke because of the air-raids on wartime London. On their first morning, the weather is awful, so they play indoors. The Magician's Nephew is my second favorite book. Voyage of the Dawn Treader is perhaps the most memorable because of all delicious imagery and talk of the sea. I loved Reepicheep the Valiant Mouse, he was so cute but so brave. There are tales of magic books, sea adventures and someone naughty turns into a scary dragon (great lesson). To find out if they stay a dragon you have to read the books and I won't spoil the ending for you. All I can tell you is that when you start reading these books time won't stand still as it does when these children jump into a picture and start an adventure aboard the Dawn Treader. These books are nothing short of magical. The imagination of Lewis is so powerful that the numerous images become a part of you and you remember them forever. 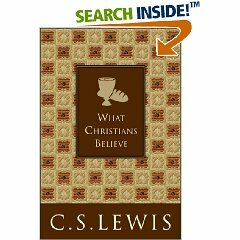 Through the books, C. S. Lewis weaves the morals and beliefs children need to learn. Aslan, the Lion, has great significance. I love ships and sailing and intend to learn more when I have time. Could I have gained my love of travel from these books? I believe it! I will always thank the teacher who read these books to me, wherever she may be! The beauty of the Oxford campus and the natural wildness of the English countryside is captured in especially warm images. This documentary goes into more details and shows C.S. Lewis' home on a sunny day with a garden in full bloom. The camera sweeps across Oxford, showing statues, focusing in on the detailing on iron gates and shows people wandering about on Addison's walk. Within the story of his life, Lewis Scholars present their ideas about his life and give glowing testimonials of his work. They explain how the unifying elements in his writing gives them appeal to all denominations and comment on how he would have reacted to his work being adapted for film. It is fun to learn about how he loved to read Medieval romances and that he responded to all his letters while he continued to teach and publish even more books. His friendship with Tolkien is briefly discussed and they mention how Tolkien disliked the mixing of mythologies. They also show original drawings and pictures from the The Chronicles of Narnia. Bibliography - A section that includes a listing of 38 books written by C.S. Lewis and numerous books written about his life. My personal favorites are "A Grief Observed," and "Mere Christianity." "C.S. 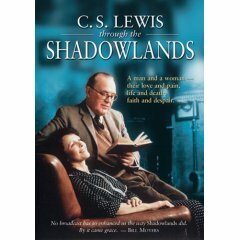 Lewis Through the Shadowlands" is a beautiful love story and a sensitive portrayal of grief. In this BBC television special, we find American poet Joy Gresham (Claire Bloom) writing to C.S. Lewis in England. As they discuss ideas about mythical doors and poetry, her letters bring about an intellectual friendship. I love the part where Joy talks about wandering into the wrong houses as she is looking for a home. When C.S. Lewis asks her if she thinks she has found a home, she says she thinks she has. It is very cute and sentimental. The story progresses from a winter of Joy's marriage dying to the full blossoming of her love with C.S. Lewis. The focus of this movie is on the relationship and nothing much is said about any of the books, except there are a few conversations where Joy shows she has a complete knowledge of the books he has written. If you have read "A Grief Observed" or if you have an interest in finding out more about C.S. Lewis' personal life, then this will introduce you to the warmth of Joy and the caring nature of C.S. Lewis. If you are looking for information on the life and work of C.S. 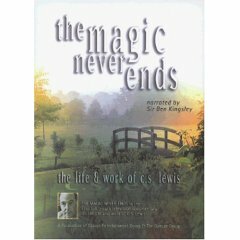 Lewis, may I recommend "The Magic Never Ends." It is truly fascinating and includes a list of his 38 books and more information on books written about his life. As a child, my father would read me books by C. S. Lewis that you would assume would be far beyond a child's understanding and yet at a young age, this writer captured my heart. His Narnia books birthed in me a love for reading and his life is an interesting study in soul growth and maturing through life's complexity. In this brief dramatized introduction to his life, we enter a world where C. S. Lewis talks about his life while sitting by a fireplace. This has the feeling of a fireside chat with portrayals of C. S. Lewis' discovery of true love, his life as a writer and his struggles to accept the reality of God's existence, all while he says he was angry at God for not existing. There are some great moments of humor throughout. If you have read the work of C. S. Lewis, especially "A Grief Observed," then "Beyond Narnia" presents a deeper understanding of how C. S. Lewis lost the woman he loved. I found myself caught up in the tragic romance, the intimacy of the conversations and the stories of his life in Oxford. The filming locations are beautiful, libraries and historic settings add intrigue. I suppose the only thing I felt a little distracted by was how C. S. Lewis' beliefs about God were presented. While most of the aspects of his conversion from atheism to Christianity seem correct, I think at the point at which he would have been telling his story, he would have been less critical of God. Reading Mere Christianity gives a much more in depth look at his true feelings. It seems true to say that the more you learn about C. S. Lewis, the more fascinated you become. 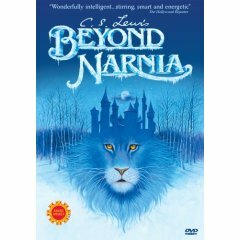 This docudrama doesn't really address the Chronicles of Narnia in detail, nor does it really explore any of C. S. Lewis' writing. This is more about his childhood, his personal relationship with God and his understanding of grief. When you think about, how many authors could so influence a life? Not only are his children's books completely fascinating, his writings on spirituality are some of the most profound literary moments I've ever encountered. Each time I take time to study more about C. S. Lewis, I find myself even more curious about this fascinating author who has so influenced my life. So, I can recommend this to you if you are studying C. S. Lewis' life or you are curious about his childhood, marriage and emotional life. 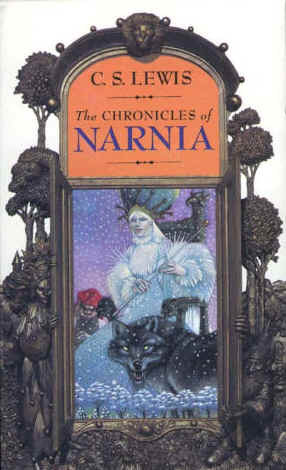 If you are looking for extensive details about the Chronicles of Narnia, you may be disappointed. "What Christians Believe" is a tiny book that explains the very basics of Christianity. C. S. Lewis presents his arguments in a logical way with plenty of illustrations to make his points. This book is perfect for anyone who is seeking the truth or who wants to know more about why Jesus had to die for humanity's sins. As soon as I finished reading this book I bought two copies for friends. This would be perfect as a gift for anyone who wants an introduction to C. S. Lewis' work.